Pope John Paul II excommunicated the leaders and all formal members of the SSPX ferendae sententiae (by a brought judgment). 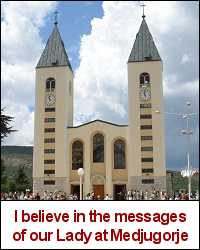 Pope Benedict XVI lifted that ferendae excommunication. However, it is important to understand that all leaders and formal members of the SSPX remain excommunicated, latae sententiae (automatic excommunication) for the sins of formal heresy and formal schism. The leaders and members of the SSPX regard all of the Popes since Vatican II, from John XIII to Pope Benedict XVI as heretics who have lost their proper authority to teach and rule over the Church. They likewise believe that the body of Bishops in communion with the Popes have also lost their respective authority as Bishops over the Church. When any of these Popes or Bishops teaches non-infallibly, they do not give that teaching the religious submission of will and intellect (religious assent). They might agree with a particular teaching, but only if it is already their own opinion; such agreement is not submission. When any of these Popes teaches infallibly, especially the most common type of infallible teaching, when the Pope and the body of Bishops teach under the ordinary and universal Magisterium, they do not give that teaching the full assent of faith (theological assent). Therefore, the leaders and members of the SSPX are in a state of formal schism, by rejecting the teaching authority of the Magisterium per se. The SSPX ordains bishops and priests apart from the temporal authority of the Church. Their bishops, priests, and laity do not adhere to any of the rules, rulings, or liturgical norms of the Church. And they are not in communion with those Bishops and priests and laity who are in communion with the Pope and the body of Bishops. Therefore, the leaders and members of the SSPX are in a state of formal schism. The rejection of the Second Vatican Council, in its entirety, as if the Council did not have the same teaching authority and the same temporal authority as every previous Council, is also the sin of schism. The refusal to submit their will and intellect, and their exercise of the virtue of faith, to the teaching authority of the Council is the sin of schism. The idea that the leaders and members of the SSPX may stand as judges over this Council, to decide if it is valid or not, to decide if its teachings are true or false, is the sin of schism. It is a dogmatic fact that the Second Vatican Council is a valid Council, and therefore the denial of that dogmatic fact is the sin of schism. Therefore, the leaders and members of the SSPX are in a severe state of formal schism. The mere signing of the recent ‘doctrinal preamble’ offered to the SSPX leaders by the Holy See does not remove them from the state of formal schism and latae sententiae excommunication. The sin of heresy usually consists in the obstinate denial or obstinate doubt of an infallible teaching of the Magisterium. However, one can commit the sin of heresy in other ways. For example, if a person rejects all non-infallible teachings of the Magisterium, the sin is heresy. In the early Church, when some persons rejected clear and definitive teachings of Sacred Tradition or Sacred Scripture on grave matters of faith or morals, but without an infallible teaching of the Magisterium on that point, and the Church Fathers were unanimous in calling this type of sin heresy, and those who commit it, heretics. The teachings of Vatican II include some infallible dogmas, which must be believed under pain of heresy. For example, the Second Vatican Council teaches on the infallibility of the Pope, of Councils, and of the ordinary and universal Magisterium. These teachings are infallible. The Second Vatican Council also teaches on the infallibility and the nature of Sacred Tradition and Sacred Scripture and the Magisterium. These teachings are also infallible. Now one might argue that, since the Council did not issue formal Canons with an attached anathema, these teachings are only non-infallible. But my reply is that, since the Council, these same teachings have been taught by every successive Pope, and by the body of Bishops dispersed through the world. Therefore, even if every teaching of Vatican II were non-infallible — at the time of the Council — even so, at the present time, many Vatican II teachings are infallible under the ordinary and universal Magisterium. We faithful Catholics find these teachings of Vatican II in many subsequent magisterial documents, in the Catechism of the Catholic Church, and in the teachings of the Bishops dispersed through the world. 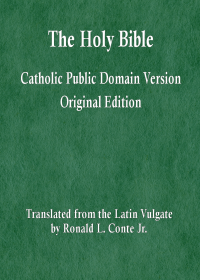 The SSPX does not accept the Catechism of the Catholic Church, the Compendium of the Catechism, nor any documents issued by any of the Popes since Vatican II, as having any teaching or temporal authority over them. The rejection of the teaching authority of Vatican II is the grave sin of schism, as is the rejection of all magisterial documents since Vatican II. The rejection or obstinate doubt of various specific teachings of Vatican II and of the Catechism of the Catholic Church — teachings many of which fall under the ordinary and universal Magisterium — is the grave sin of heresy. The leaders and members of the SSPX not only reject the authority of the Second Vatican Council and of the Magisterium since then, but they also actively and adamantly argue against many specific teachings, treating both infallible and non-infallible teachings as abject error, and as subject to the judgment of the SSPX. Therefore, the leaders and members of the SSPX are in a severe state of formal heresy, as well as formal schism. In addition to the grave sins of heresy and schism, some leaders and members of the SSPX have committed the sin of malice against the successive Popes since Vatican II, against the body of Bishops, and against all who are faithful to their teaching and their authority. This malice is expressed openly, repeatedly, by many leaders and members. They treat the Popes and all who are in communion with them with open contempt, denigration, ridicule, and outright malice. I cannot be the judge over any particular person’s soul. But it is clear from the many public writings and verbal statements by the leaders and members of the SSPX that the grave sin of malice is not uncommon in their midst. All persons who commit this grave sin, with full knowledge and full deliberation, cannot possibly be in the state of grace. They are therefore separated from the Church by mortal sin, as well as by heresy and schism. Another grave sin that is committed openly by some leaders and members of the SSPX is the sin of arrogance. They stand before the Pope and the Bishops as if they were judges over the Pope and the Bishops, and as if they understand the Faith better than all the Popes from Pope John XIII to Pope Benedict XVI. They take the position that the Pope and the body of Bishops are in a state of grave error in matters of belief and practice, and that the Pope and the Bishops must bend to their will. This type and degree of pride is a mortal sin. If it is also an actual mortal sin, then again they are separated from the Church by the loss of the state of grace due to grave sin, as well as by heresy and schism. 9. they repent from and cease all arrogance, malice, and claims of grave errors in magisterial teachings. At the present time, it could not be clearer that the leaders and members of the SSPX are entirely unrepentant from heresy, schism, and other grave sins. Therefore, the SSPX remains automatically excommunicated, and some (perhaps many) of its leaders and members remain in a state of actual mortal sin, not in a state of grace. How must a Catholic respond if he believes there are contradictions between the teachings of current leaders and the teachings previously established as infallible? The teachings of “current leaders” are the teachings of the Holy Spirit, through the Magisterium. Non-infallible teachings have only a limited possibility of error. Infallible teachings have no possibility of error. The Catholic believer in that situation should consider that his own understanding of past infallible teachings may be in error and in need of correction. The error of the SSPX is to assume that their own understanding of past teachings is itself infallible. The living Magisterium will continually clarify past teachings, and the believer must adhere to these clarifications. Neither any valid Pope, nor the body of Bishops in communion with him, can possibly commit or teach heresy. The indefectibility of the Church prevents it. I do believe that Pope John XXIII, Pope Paul VI, Pope John Paul I, and Pope John Paul II were all legitimate popes, and that Pope Benedict XVI is a legitimate pope. Jesus Christ said “And I say to you, that you are Peter, and upon this rock I will build my Church, and the gates of Hell shall not prevail against it” (Matthew 16:8). Since it is not possible for the devil to prevail over the Catholic Church, the Vatican II council must be legitimate and the Catholic Church cannot have lost its legitimacy as a result of Vatican II. It is also very clear that the devil did not prevail over the Catholic Church when Pope Paul VI upheld the Catholic Church’s teaching that contraception and direct abortion are intrinsically evil acts in Humanae Vitae back in 1968. The SSPX’s claim that the Church has lost its teaching authority during Vatican II is clearly false, since the devil has not prevailed and will not prevail over the Catholic Church. Bishop Fabian Bruskewitz of the Diocese of Lincoln automatically excommunicated by extrasynodal legislation Catholics of the Diocese of Lincoln who are members of Society of St. Pius X back in 1996. Bishop Bruskewitz actually made the claim that the SSPX is “always perilous to the Catholic Faith and most often is totally incompatible with the Catholic Faith.” After reading this post, it is very clear to me that this bishop’s claim is correct and that this bishop did the right thing back in 1996. I actually hope that the SSPX members become aware of the truth and return to the true Catholic faith. Will the next pope of the Catholic Church make it very clear that the SSPX is in a state of schism and heresy, as described in this post? I think that the next Pope will strongly rebuke all heresy, on the right and on the left, and all schism. Even though the next Pope will be (in my view) the very conservative Cardinal Arinze, he will not have any bias in favor of conservative heresies. Pope Benedict is a Pope of peace. He is making every effort possible to reach out to the SSPX. But I believe that ultimately the SSPX will reject that offer. Then the next Pope will rebuke them in a manner that is clear and definitive (probably reinstating the ferendae excommunication). I hope that the members of the SSPX repent and convert, but many are apparently unwilling. They have decided to exalt themselves as judges over the Popes and the Bishops and the Second Vatican Council, to decide what is true doctrine, and what is not. It is troubling that many conservative Catholics tend to diminish the errors of the SSPX, because they are a conservative group. It is as if conservatism has become more important to some Catholics than Catholicism. You’re post makes very clear the innumerable complications that still remain with the SSPX. Conservative Catholic bloggers are tending to mark these negotiations as a possible return to some sort of conservative orthodoxy (I think sometimes they just seem to love to see the liberal media flip out) yet they clearly forget what you describe here. I’ll pray that schism and the latae sententiae excommunication may be able to be cleared and that those lost sheep may return to the body of Christ, but I admit your predictions about the next pope and a possible reinstating of the ferendae excommunication are realistic.